From Book to Screen – the fresh face of Flix. Just before Christmas we shared the good news that Flix is back! 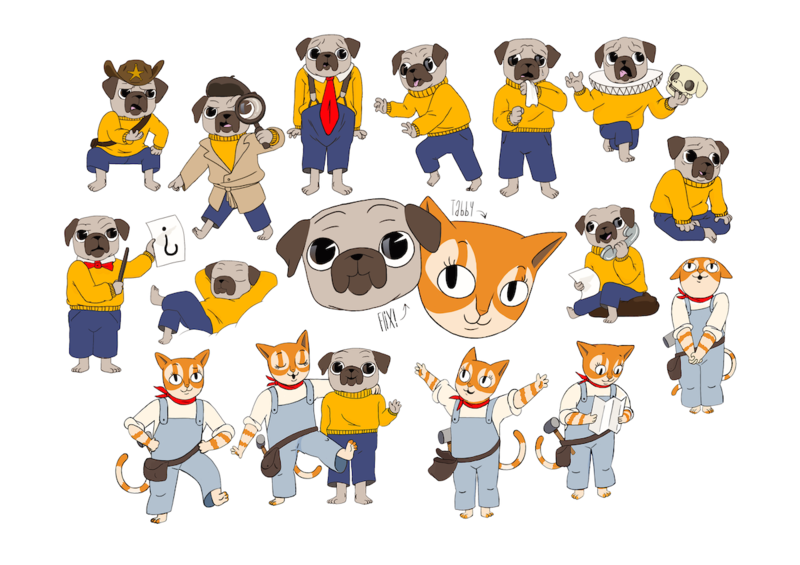 For all of you that know and love this story, we thought we’d start sharing a little more of background to how the new animated series was developed visually. Exclusively for you here, let’s look at some of the drawings and see how the transformation was achieved. From the very beginning, Tomi’s involvement and artistic input were key. 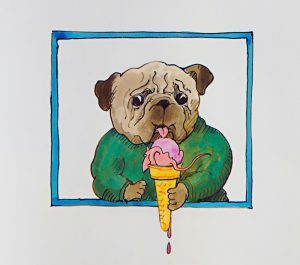 The biggest hurdle was making Flix look like a young pug dog. 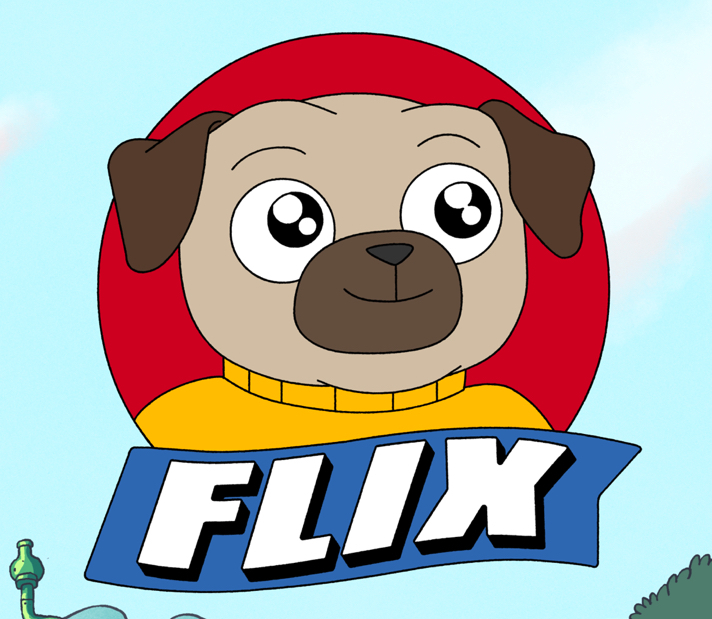 In the book we meet Flix as a baby, and the book traces his whole life story but in the TV series, Flix is forever young!! 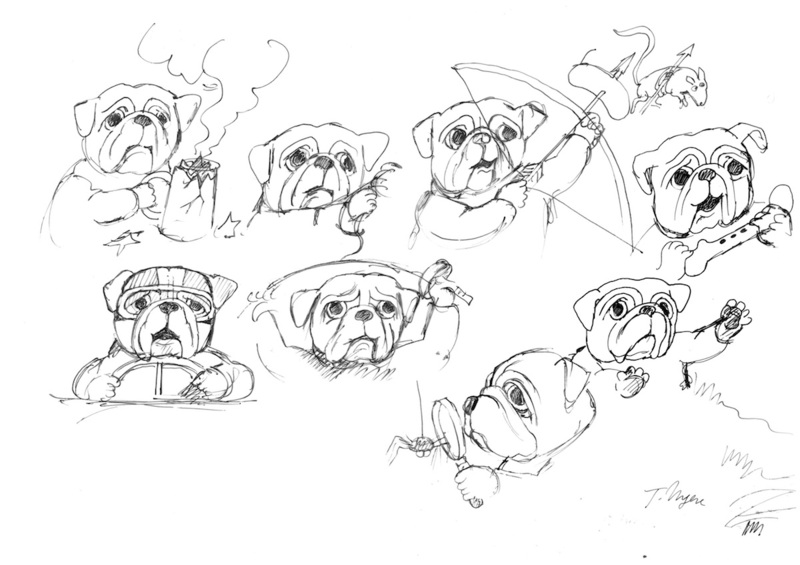 Here are some very early sketches from Tomi – as you can see here, Flix still looks a little old. Very specifically, in the TV show, Flix is about 9 or 10 years old so further work was needed. 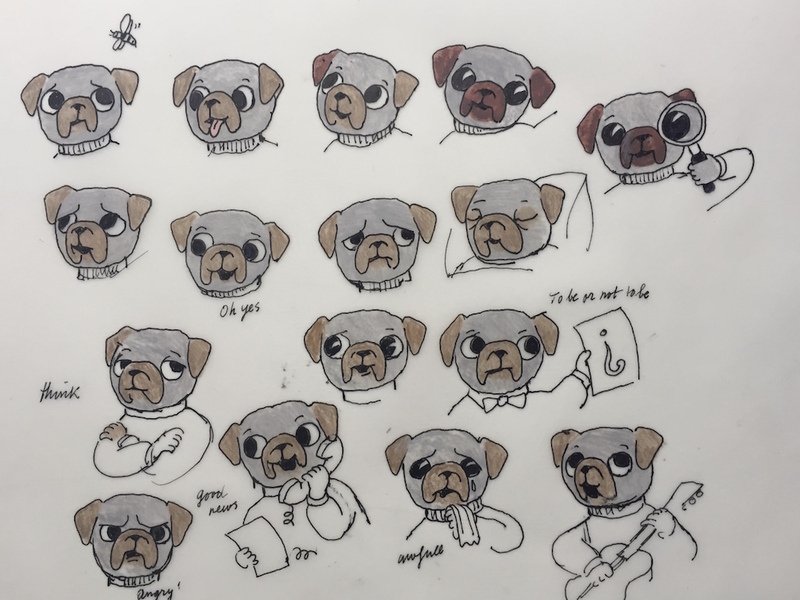 Here is a later character sheet that Tomi drew and which is what the animators then used to develop Flix into an animated character. By now Flix’s face shape is more puppy-like and he has a few less wrinkles. 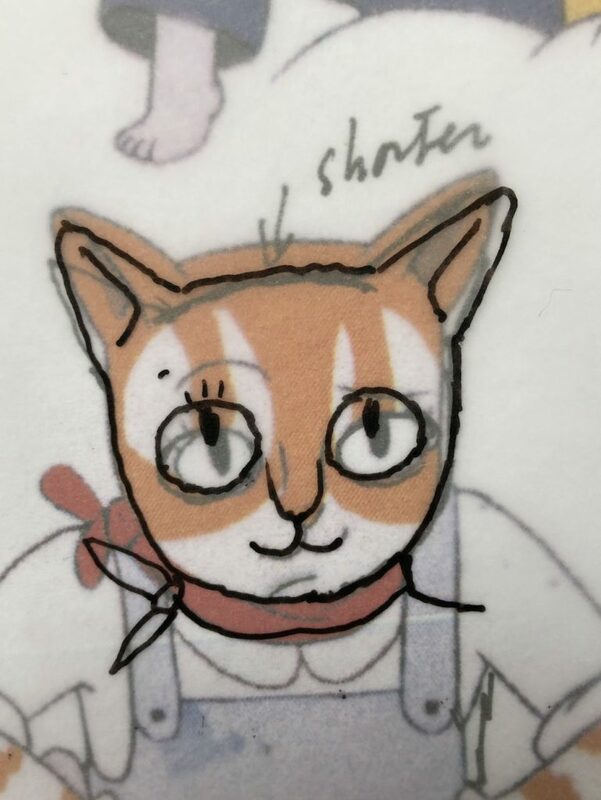 At this point Tomi was also working out the colours for Flix’s fur. 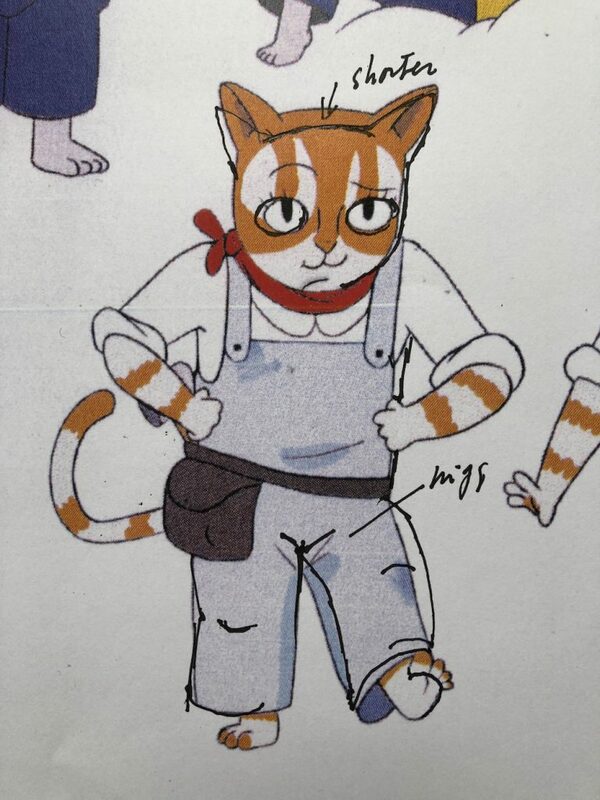 Tomi also created new characters for the animation – most importantly Flix’s two new best friends – Tabby and Munchkin. 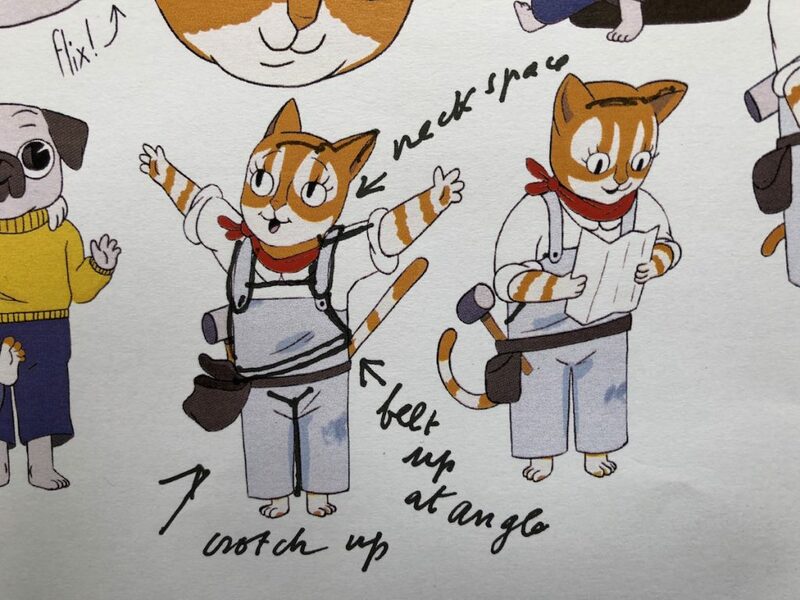 Here are some pictures of Tabby after the animator returned a character sheet back to Tomi for review. You can see his new notes and edits for the animator, David da Silva. 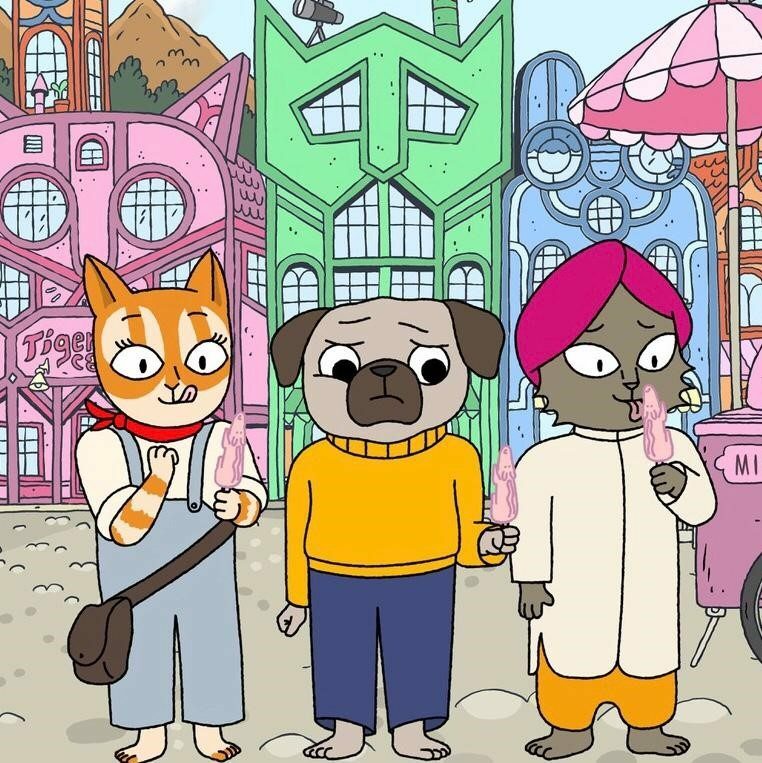 And finally, here is a shot of the three friends together standing outside their favourite hangout – the Tiger Milk Cafe. -They’re eating their favourite snack, well Tabby and Munchkin’s anyway – pink Mice Cream. 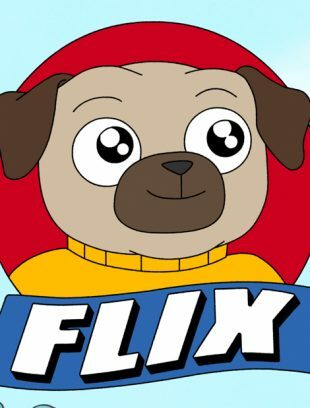 Flix is being co-produced by Eye Present (Genevieve Dexter &Jules Coke) in the UK and Pictor Productions (Aria Ungerer) in Ireland. Flix is supported by Screen Ireland and Creative Europe.